All health-savvy dog owners need to be aware of a definitive list of foods that they can never feed their pets. Unfortunately, grapes and all other grape-derivatives are firmly on that list. As tasty and healthy as they might be to us, grapes for dogs are actually highly toxic and can cause an emergency visit to the vet. So while you might be tempted to feed Fido a few grapes off your table scraps, you should definitely stop yourself before doing that. Unsure what grape-like products to avoid? Panicking what to do if your dog ever eats a grape by accident? Wondering what precautions to take? Fear not – our definitive guide is here to answer all your questions, relating to dogs and grapes. 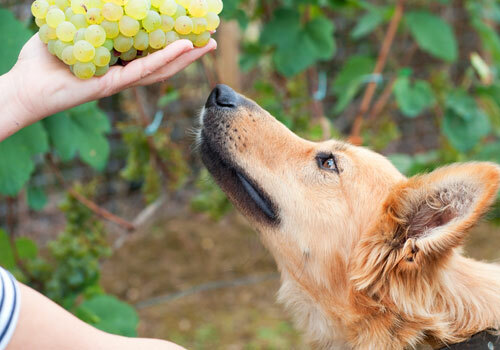 Are Grapes Good for Dogs? There’s a long and a short answer to this question. I’ll start with the short one: definitely no. Now here’s the long one. Grapes and dogs just don’t seem to work together very well. No one’s really sure why. However, eating a significant amount of grapes can be potentially fatal to dogs. There are also no defining factors in how badly grapes affect dogs. 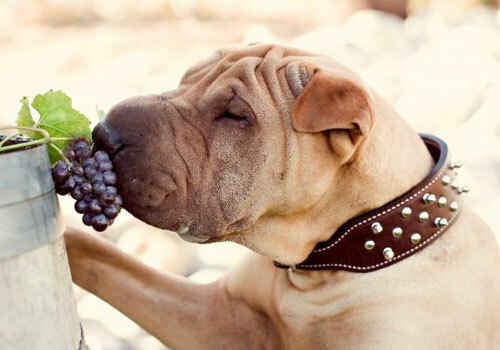 All breeds, genders, ages and sizes of dogs can suffer after eating grapes. This also applies to the grapes themselves. Store-bought or grown in your back yard, seeded or seedless, all grapes are inevitably bad for dogs. Raisins and sultanas, which are products derived from grapes, are also very bad and toxic to dogs. 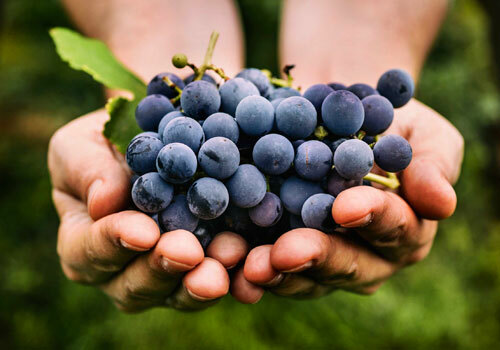 Oddly enough, there are no recorded cases of toxicity with grape-seed oil, however, all owners should exercise caution when grapes are involved in general. 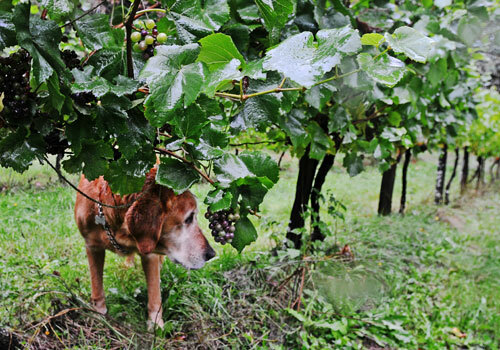 Scientists still haven’t discovered the particular reason why grapes are toxic to dogs. 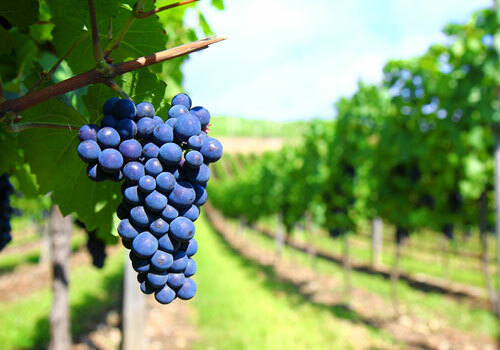 There are suggestions that grape toxicity is caused by tannins in grapes. Other toxic ingredients may be flavonoids, monosaccharides, polyphenolics and ochratoxin, however, none of these have been confirmed as the defining reason. So what might happen to dogs eating grapes? If your dog ate grapes, the most common danger is acute kidney failure. Many dogs suffer from this when they’ve accidentally gorged on left out grapes, and it’s a condition that requires emergency veterinary help. The exact mechanism or cause of kidney failure in dogs after eating grapes is still a mystery to science. There have been fatal cases reported so the sooner you notice that your dog is suffering, the better their chances of recovery. There are different amounts of grapes or raisins that can cause a problem in dogs. With raisins, the problem quantity is normally smaller, as the grape toxins in them are more concentrated. Scientists have determined that a dangerous dose of grapes for dogs would be 0.18 ounces per pound of the dog’s weight (so, 1.8 ounces for a 10-pound dog) and with raisins that number stands at only 0.07 ounces per pound. It’s important to point out that these are very relative numbers. Studies have shown that smaller dogs have survived ingesting larger amounts of grapes, yet larger dogs have died after eating one raisin. Some dogs have even remained unaffected by eating grapes. But those cases are very rare and definitely in the minority. Our advice would be to not experiment with your dog’s health and keep your grapes and dogs as separated as you can. 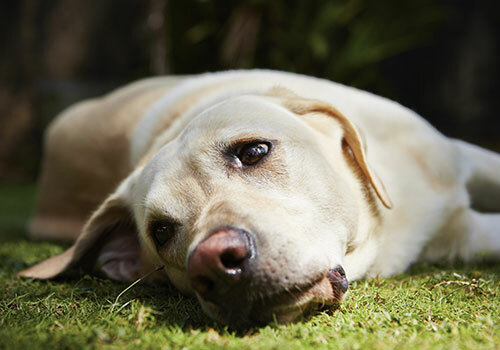 There are many different symptoms that point towards grape toxicity in dogs. They’ve been explained in the picture below. So while it might sound like a good idea to feed your dog some grapes, you should stop yourself from doing it because you could seriously hurt them. Consider harmless fruit like oranges, cherries, apples and strawberries instead. Or, of course, the best option is going for healthy, organic dog food and dog treats. Now, we have the answer to our question, can dogs eat grapes, let’s see what we must do if our dog ate grapes accidently. My Dog Ate a Grape! What Should I Do Now? Accidentally left some grapes out in the pantry and found Fido munching on them? If your dog ate grapes, then acting quickly is key to saving your dog. the amount of grapes your dog’s ingested and the way their body is reacting to them. However, there are several things you can do immediately when you suspect any signs of grape toxicity. Make your dog vomit. That’s a natural way of the body to rid itself of the bad toxins. Your dog will probably vomit anyway after eating grapes, but if they don’t definitely make them. 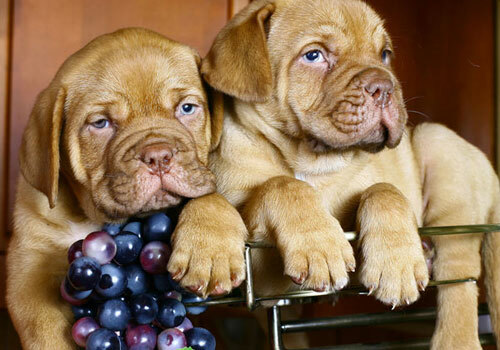 As we discussed before, the combination of grapes and dogs often leads to kidney failure. Activated charcoal will decrease the absorption of the grape toxins causing the failure. If you don’t have any handy, burn some toast, making sure it’s as black and charred as possible, and give it to your dog. You will find that while it’s normally easy to get your pooch to eat anything and everything, they’ll be hesitant in this case – it’s because the kidney failure is making them ill.
Take them to the vet immediately. Kidney failure is an emergency medical condition, and it needs to be treated aggressively with intravenous fluids. Dogs that have received this treatment for 48 hours immediately after being poisoned show a better survival rate. Don’t wait around for the symptoms to show up. If there’s even a slight suspicion that your dog might have eaten any grapes, take them to the vet immediately. Should I Avoid The Whole Grape Family? 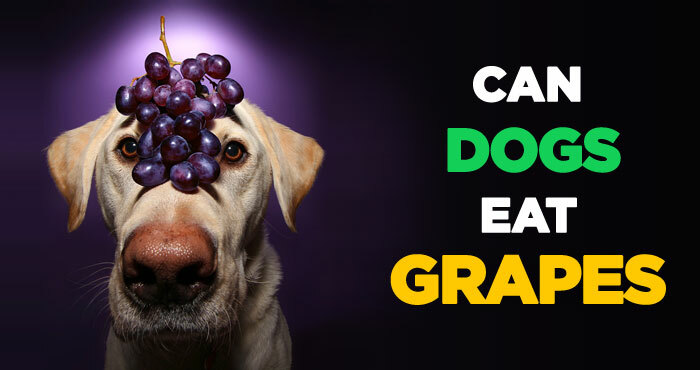 There’s a simple rule to remember when it comes to grapes: they’re toxic to your dog in any shape, size or form. This especially applies to raisins and sultanas. In their essence, they’re just dried grapes, which means that the toxins in grapes are a lot more concentrated in them. The combination between raisins and dogs is a potentially fatal one – even more dangerous than fresh grapes, raisins can be found in nearly every home, and many people might think they’re an easy and healthy snack. They’re extremely toxic and should be avoided at all costs. Baking biscuits for your furry friend? Don’t even go near the raisins. Having some raisin cereal for breakfast? As much as your dog is begging, don’t give them any. They’ll be grateful later. Other grape derivatives such as grape juice, grape jelly, frozen grape popsicles and anything else even remotely related to grapes should be avoided. For some odd reason, though, this doesn’t apply to grape-seed oil, however, I would recommend being very cautious with it and consulting your vet before giving it to your dog. Wine is an absolute no-no. Grapes and alcohol are both very toxic to dogs, so while party guests may think that it’s funny to give a dog wine and watch them drunkenly waggle about, it can prove to be potentially fatal for any dog. We’ve discussed pretty much what we can about grapes and how bad they are for dogs! Just to re-emphasize the main points, here are the dos and don’ts of grapes and dogs. Remember, if we’ve left anything out of this list, don’t hesitate to pop it in the comments below! 1. Can dogs have grapes? Are grapes ok for dogs? No. Grapes (along with raisins and sultanas) are extremely poisonous to dogs – for reasons still unknown. 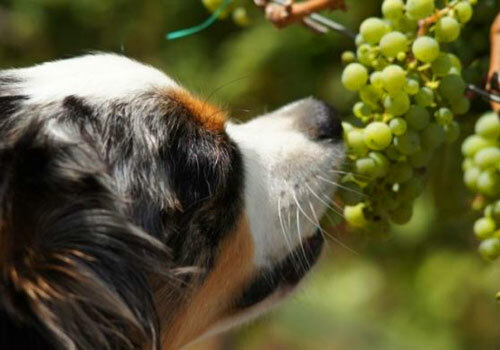 Different amounts of grapes can be harmful to different dogs, so the best thing to do is not experiment and keep your grapes away from your furry friends for good. 2. Can grapes kill dogs? Why are grapes poisonous to dogs? Yes. Grapes for dogs can cause kidney failure – a very serious condition, which, if untreated, can be fatal to your dog. Always be on the lookout for the first symptoms of kidney failure and if you have even the slightest hint or think your dog might have ingested any grapes, take them to the vet immediately. 3. Can dogs eat raisins? Why are raisins bad for dogs? Raisins and sultanas are even more toxic for your dog than grapes. Because they’re just dried grapes, the toxins in them are way more concentrated than in fresh grapes. There have been recorded cases of just one raisin causing kidney failure in some dogs. So, as a general rule of thumb, it’s good to avoid any grape derivatives, especially raisins. 4. How many grapes can a dog eat without getting sick? The ideal answer to that question is none. While there have been some studies that have shown a correlation between the amount of grapes eaten and the weight of the dog, other studies have recorded cases of dogs dying even after ingesting a very small amount of grapes or raisins. So feeding your dog grapes in any shape or form is just a bad idea altogether. 5. How to protect my dog from grape seed toxicity? The best thing to do is keep your grapes out of sight. Dogs don’t have any restraints when it comes to food, even if it’s bad for them. Keeping your grapes and raisins stowed away is always the best solution for protecting your dog. If your dog ate grapes accidently or if you suspect your dog might be suffering from grape seed toxicity, consult your vet immediately. 6. Can dogs eat grape-seed oil? Oddly enough, the answer to that question is a cautious yes. Grape-seed oil has even proven to have some very beneficial ingredients, however, this comes with a huge disclaimer. Knowing how toxic grapes are to dogs, I would recommend exercising extreme caution before introducing it to your dog’s diet. The best thing to do is to consult your vet beforehand for expert advice. 7. Can puppies have grapes and raisins? No. 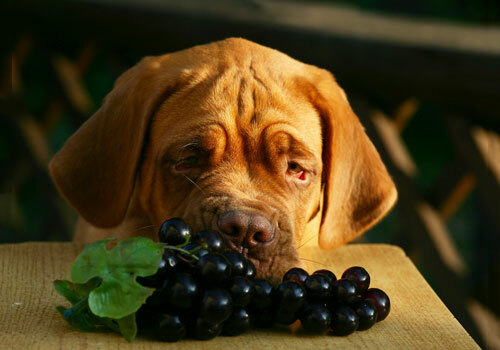 Grapes are toxic to dogs of all shapes, breeds, sizes and ages. For puppies especially, because they have a habit of gorging on food, and will most definitely ingest more than they ever need to. 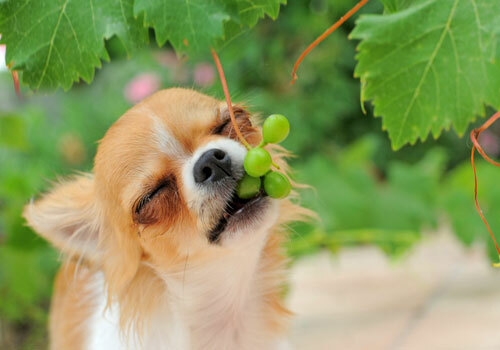 Keep your pup away from grapes if you want them to be healthy. So what’s the final word on dogs eating grapes? If you hear a friend asking you: “Hey, can dogs eat grapes?” you now know what to say: a big, loud, resounding no. Grapes are very toxic to dogs in any shape, size, and form, and they can lead to kidney failure and even death if you’re not careful. This also applies to raisins, sultanas, wine, grape juice, grape-flavored popsicles and anything with the remotest trace of grapes in it. If you think your dog might have eaten some accidentally left-out grapes, consult your vet immediately. They might need some emergency treatment that will be necessary for them to survive. But one thing you will regret is giving them to your pet. Choose a no-grape life and go for organic, healthy dog food instead – a recipe for a happy, satisfied, healthy pooch.